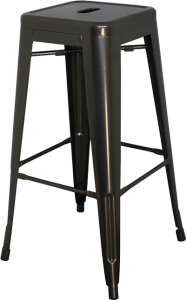 High quality metal stools for the kitchen, bar, garage workshop, and more! 30″ inches tall with a stylish powder-coat waterproof finish. Each stool is 1.2 mm thick providing a 275 lb. weight capacity, and rubber non-slip feet ensure stability and are safe for floors. Hercke makes shipping easy. Our team will have your order shipped within 7-10 business days after the order is placed, and will take absolute care to ensure that your product is delivered correctly. All of our products come with shipping included. You will receive a tracking email once the order ships, after which you will be receiving a call to schedule a delivery time from one of our carriers. All deliveries are curbside only and will require a signature. If you have any questions regarding your delivery, feel free to contact a Hercke Customer Service Agent at (833) 344-2009 or email us at support@hercke.com. Please note that any failure to receive a shipment could result in a restocking fee. Returns are only allowed within 30 days of the date of order. Refunds will be issued only if all items in question are received back at Hercke in proper working order, and in their original packaging. When the item is received, Hercke will process the return and refund the cost of the order less any outbound shipping costs (when shipping is included). Return shipping costs are borne by the customer, and are not the responsibility of Hercke. The cost of return shipping will not be refunded. A 50% restocking fee will apply for all returns. For any individual components that are damaged in transit or have manufacturing issues, a replacement will be provided. A picture is required of the damaged/defective component prior to a replacement being sent out. The above return policy still applies to all other components. 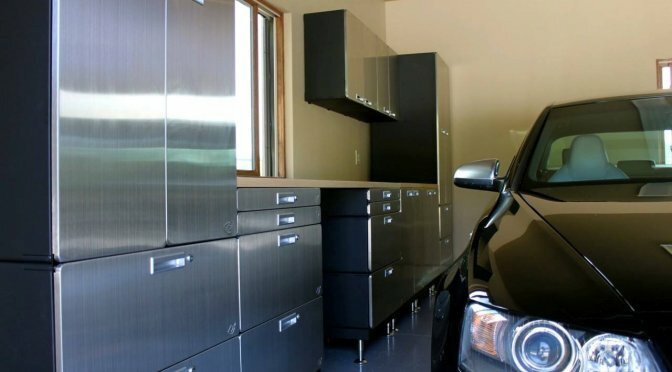 These cabinets saved my garage, my space, and my sanity! Can’t recommend enough. How long does it take to build this configuration? Individual Hercke Cabinets should take 20-30 minutes to assemble. This means that, depending on skill level, larger Cabinet Kits can be expected to take anywhere between 3-5 hour to complete installation. If you have any questions regarding installation, please contact our support line at (855) 344-2009, or send an email to support@hercke.com. Hercke brings a new angle to the age old question; how do I blend style and function? Every Hercke Cabinet System comes with a promise—the promise to deliver superior, quality product to our customers with fast, hassle-free shipping. We don’t settle for bringing you anything but the best, and you shouldn’t settle for a lesser product. 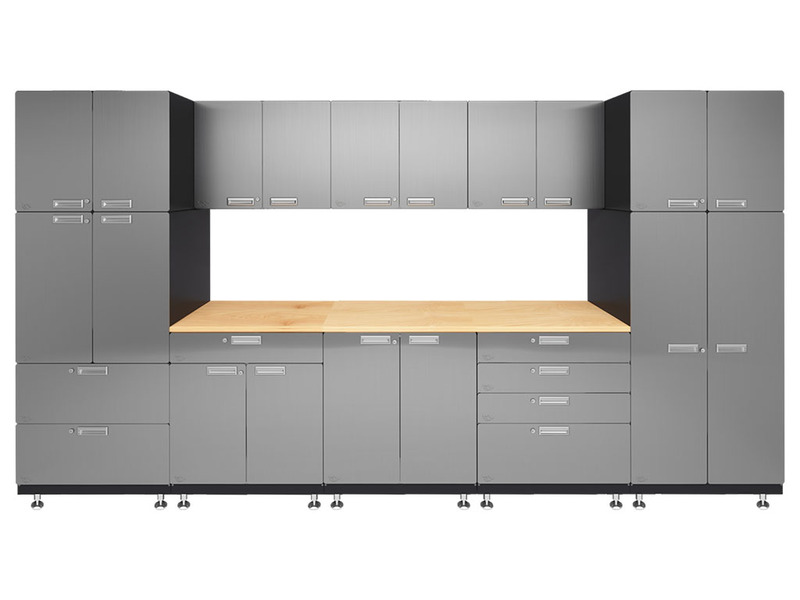 Sleek, stylish, and completely customizable, Hercke Cabinet Systems are the “all-around” solution for anyone—from the artist to the auto-mechanic. Customized Cabinets are perfect for tools, sporting gear, garden supplies, and hobby equipment. With the ability to reconfigure, expand, rearrange, and divide your system… the possibilities are endless. We’re always surprised by the creativity of our customers in utilizing our product; kid’s playrooms, musical instrument storage, outdoor kitchens. Choose the modular excellence of Hercke, and create a space to be you.